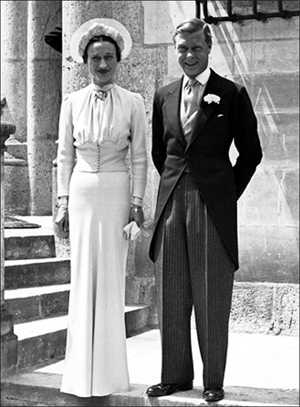 Wallis Simpson wearing the gown on which the film replica was based. 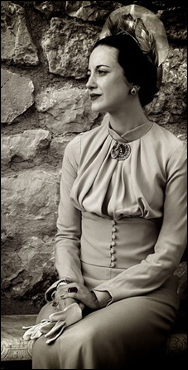 The 2005 production of Wallis & Edward reproduced this lovely replica of the blue gown that Wallis Simpson wore on the day of her marriage to the Duke of Windsor. 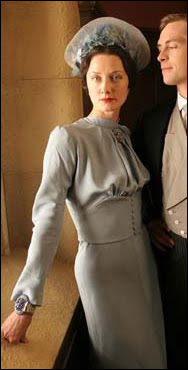 Several years later, when Madonna began work on her film W.E., the reproduction gown was part of an exhibit on "Marriage in the Movies" and she asked if it might be loaned to her for use in the film. You can read more about it here.